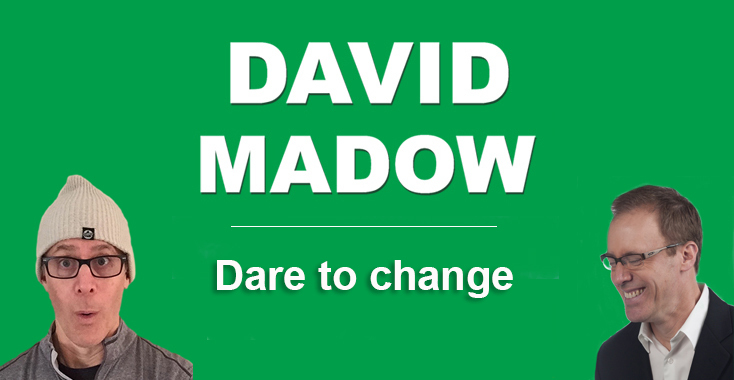 Hello, I am Dr. David Madow! I am a “plant based” athlete, author, podcaster, professional speaker and lifestyle coach! I have been helping countless people just like you change the direction in which their lives were headed. If you are in a rut and are looking for change, you have come to the right place. I will help you work through lifestyle issues that you have been struggling with. If you do not like the way you look or feel, if you are in a dead-end relationship, a job that you do not love, or if your life consists of looking forward to weekends, happy hours and vacations, then you are in the right place! I can help you achieve practically anything you want in life. Your dreams can and will come true. I promise! Because I have experienced everything in life from the very bottom to the tippity top. I have been poor and I have been wealthy. I have been sick and I have been in great health. I have been through career changes. I was bullied in school. I was uncomfortable in social situations. I have been depressed. I ate and gained weight to lessen pain. I had feelings of being worthless. I had severe family issues. You name it and chances are I have experienced it. I have been through so much crap in my life, I could write another book. And I may do that one day! But for now, there is something better! I have developed this site for YOU! Because here’s the good news. I figured out how to get all of the bad stuff out of my life! Every single bit of it! And the good news is that it’s not very difficult. You simply need to know what to do. I can show you. Today I am super-confident. I look and feel better than I did when I was 40 (I am now 62). I know which foods keep me extremely healthy and thin. I know which exercises work and which are a waste of time. I know how to clear my mind of all bad thoughts. I can move on from a bad job or a relationship that is toxic. I am living the life that I used to only dream about! 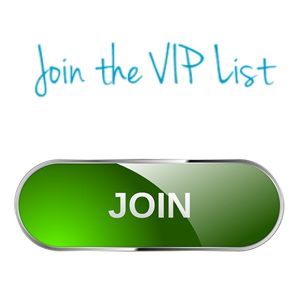 First and foremost, please take advantage of my free story entitled “The Five Habits That Will Change Your Life Forever!” You can receive your free copy by filling out the form on the right side of this page. Next, please check out my podcast, “The DAVID MADOW Lifestyle Show.” This show has been downloaded close to 500,000 times from over 23 countries! Each episode is short enough to listen to in one sitting, and I do my best to give you life changing information every time. Although you can listen from this site, I highly recommend that you subscribe through iTunes or Stitcher. You may get a notification to your email when a new episode is published! Feel free to follow the buttons below! And it’s super easy to subscribe on your smartphone! Lastly, since we are now friends, I will invite you to friend or follow me on Facebook. I am quite active there. You can get to my page by clicking HERE! Always a lot going on there! You are no longer alone. We can do this together. Welcome to your new life! Start now! Listen to the latest podcast episode! 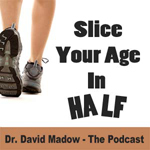 October 24, 2013 – Episode 04 – Dr. David Madow answers listener’s questions. Is stretching important? What type of running shoes should I get? I injured my foot a short time ago and now I can’t exercise. My feet and hands are frequently cold. And much more! October 17, 2013 – Episode 03 – Dr. David Madow answers listener’s questions. A listener asks how often she should weigh herself. Another listener is having a tough time getting started and wants to hire a personal trainer. Terry comes to the studio to SCREAM! Episode 02 – Dr. David Madow answers listener’s questions. A young man is experiencing chronic fatigue, an ex-triathlete wants to make a comeback, tips from a massage therapist, and much more.